Catholic News World : Prayer to St. Christopher for Safe #Travels and #Motorists - SHARE #StChristopher 's Prayer! Prayer to St. Christopher for Safe #Travels and #Motorists - SHARE #StChristopher 's Prayer! Saint Christopher Prayer"Motorist's Prayer:" Grant me, O Lord, a steady hand and watchful eye, that no one shall be hurt as I pass by. Thou gavest life, I pray no act of mine may take away or mar that gift of Thine. Shelter those, dear Lord, who bear my company from the evils of fire and all calamity.Teach me to use my car for others need; Nor miss through love of undue speed. The beauty of the world; that thus I may with joy and courtesy go on my way. 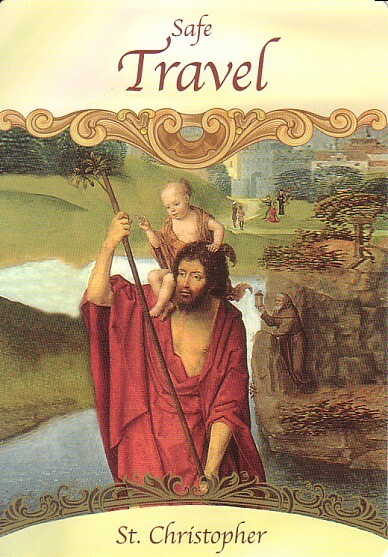 St. Christopher, holy patron of travelers, protect me, and lead me safely to my destiny. Dear Saint Christopher, protect me today in all my travels along the road's way. Give your warning sign if danger is near so that I may stop while the path is clear. Be at my window and direct me through when the vision blurs From out of the blue. Carry me safely to my destined place, like you carried Christ in your close embrace. Amen.